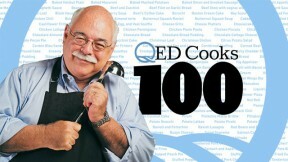 QED Cooks and Chris Fennimore will be celebrating the 100th episode of the series in a special called QED Cooks 100 premiering March 3, 2012 at 10 a.m. on WQED- TV. 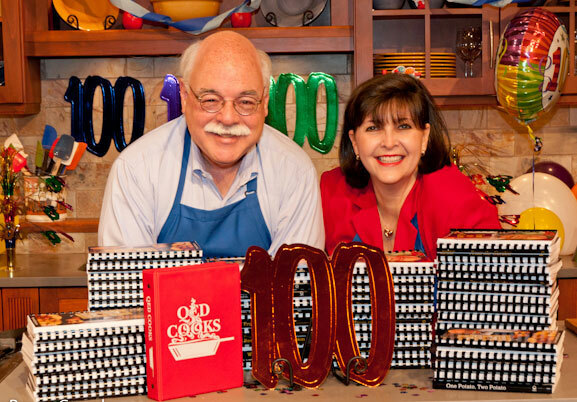 Join a live tweet session with @WQED using the hashtag #Cooks100. WQED’s program director and “cooking guy” Chris Fennimore is the host of QED Cooks, a local program that has celebrated the delicious food culture of Pittsburgh for the last 18 years. Much more than a cooking show, QED Cooks is about heritage and the tradition of passing down recipes to the next generation. Along with his kitchen cohort Nancy Polinsky Johnson (shown below), Fennimore will take a fond look back at some of the top-requested recipes of all time, show regulars including Fennimore’s son Joe from toddler to teen, bloopers, and much more. Viewers will have the opportunity to keep QED Cooks and programs like it on the air by becoming members or renewing their membership with WQED during the program. 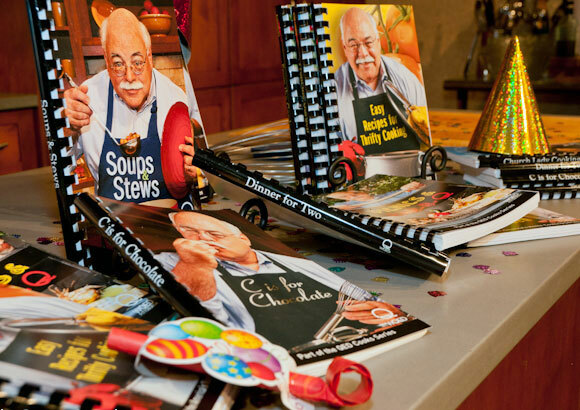 A commemorative QED Cooks 100 cookbook with more than 200 of the best and most sought after recipes in QED Cooks history will be available as a thank-you gift. QED Cooks started in August 1993 when Fennimore had a large harvest of zucchini that summer from the community garden where he volunteered his time. Not knowing how successful the program would be, the first show (Zucchini Cheesecake) wasn’t even recorded. “Nancy and I brought in all the bowls and other utensils from our own kitchens and we used a folding table as our set,” said Fennimore. Visit the QED Cooks website for many of the progam's recipes, a full list of available cookbooks, and a monthly blog written by Fennimore. “The only reason why this show has worked so well here at WQED is that we have such a concentration of great home cooks who have been generous enough to share their family treasures with their friends and neighbors,” said Fennimore.